If you’ve gone on our Austin Music Tour, then you saw some of the sites that helped make Austin the Live Music Capital of the World. Tipster has created a Spotify playlist to illustrate some of the stops along our tour. In this post, I’ll list some of the stops on our tour and recommend songs from our playlist that go with that particular stop. If you haven’t taken out Austin Music Tour, check out our schedule here. Happy listening! Why? 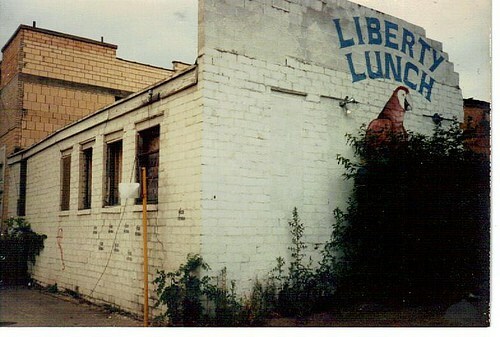 Liberty Lunch was a legendary music venue that operated next to the current-day Lambert’s for over twenty years. 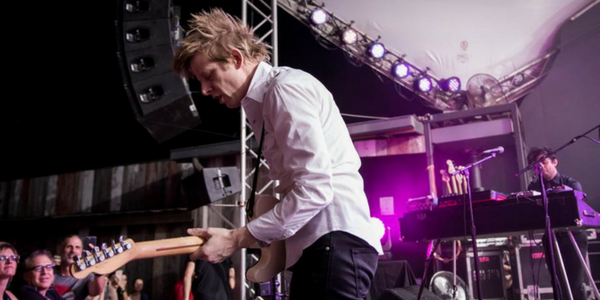 The venue was known for booking some of the hottest local and touring acts in Austin, including Nirvana, the Red Hot Chili Peppers, Social Distortion, Lyle Lovett, Sonic Youth, and Bjork among others. When the venue closed its doors in 1999, local bands celebrated in an unusual way: with a 24-hour Gloria-thon. The drums stayed steady as musicians took turns playing Van Morrison’s Gloria for twenty-four straight hours. Each singer did their own version of the song, and the marathon ended with a last shout of “Gloria!” as the twenty-fourth hour passed. Songs: Whiskey River by Willie Nelson and Family, If I Had a Boat by Lyle Lovett, and London Homesick Blues by Gary P. Nunn. Why? 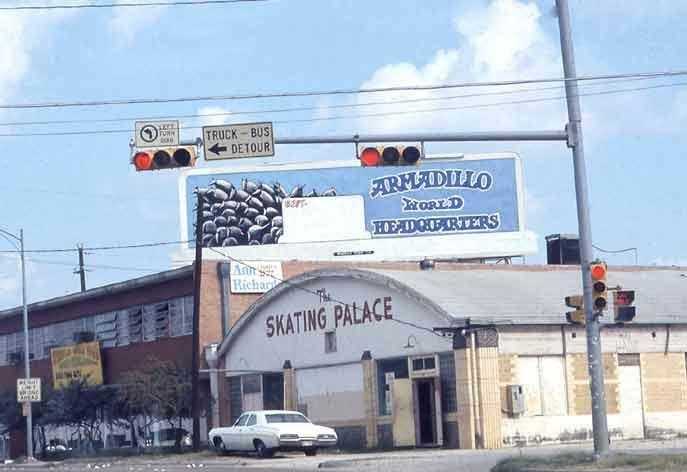 In 1970, the Armadillo World Headquarters opened in a former National Guard Armory in South Austin. The purpose of the Armadillo was to provide a communal performance and gathering space for the local art and music counterculture. 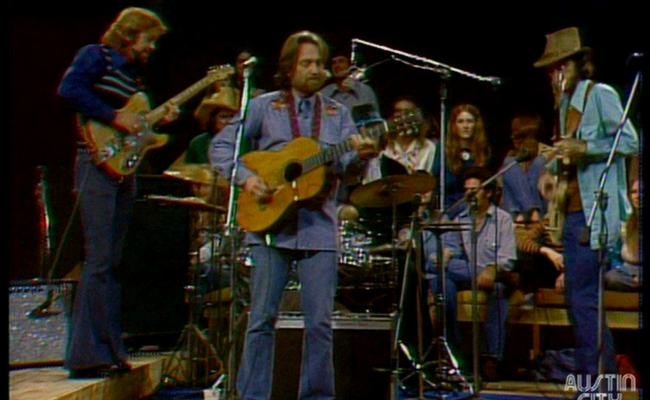 The Armadillo was the venue that catalyzed the Progressive Country movement, which was spearheaded by artists like Willie Nelson, Doug Sahm, Asleep at the Wheel, and Michael Martin Murphey. Austin City Limits relocated to the Moody Theater in 2011. The statue of Willie Nelson was unveiled with a dedication by the legend himself on (you guessed it) April 20, 2012 at 4:20 pm. 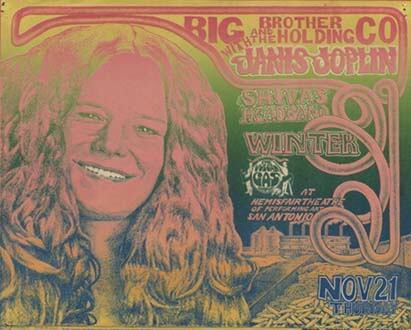 Some of the bands that played at the Vulcan Gas Company include The Velvet Underground, Janis Joplin (who attended the University of Texas), and Jimi Hendrix. Austin-based band The 13th Floor Elevators, led by singer Roky Erickson, are credited with being the first band to play under the label of “psychedelic music.” Listen for country influences in the music of Shiva’s Headband— as the house band at the Vulcan, Shiva’s was one of the first bands that began mixing country, blues, and psychedelic sounds. Songs: Texas Flood by Stevie Ray Vaughan, Bright Lights by Gary Clark Jr.
Why? Clifford Antone opened Antone’s on 6th Street in 1975. Since then, the venue has moved many times, finally settling at its current location on 5th. 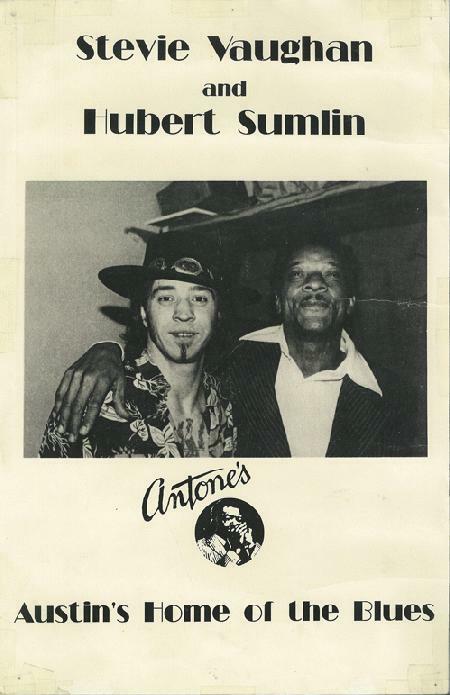 Antone’s is credited with nurturing the careers of artists like Stevie Ray Vaughan, his brother Jimmie Vaughan (who still plays frequent shows at Antone’s), Marcia Ball, Lou Ann Barton, and Gary Clark Jr. The venue was closed for several years until it re-opened under joint ownership with Gary Clark Jr. as one of the co-owners. Why? Stubb’s has been open since the early 1990s and continues to be one of the most important music venues in Austin’s Red River Cultural District. The 2200-capacity Waller Creek Amphitheater regularly fills out with acts like Austin-based Spoon, and the smaller basement stage is a great room for smaller local and touring acts. In 2005, Jewish reggae/hip-hop artist Matisyahu recorded the popular album Live at Stubb’s, which sold over 500,000 copies. Stubb’s continues to be a mainstay of the Austin music scene, and is an important regional touring stop for many influential acts. Of course, there are hundreds (if not thousands) of other artists, musicians, and venues that have influenced the Austin music scene. Who are your favorite Austin-based musicians? Let us know in the comments, and be sure to catch a Austin Music Tour to learn more about Austin’s rich musical history!